Dancers Unite will not be holding dance classes from Saturday March 30, 2013 until Friday April 5, 2013 in observance of Spring Break. Dance classes will resume as scheduled on Saturday April 6, 2013. We hope everyone has a safe and wonderful Spring Break, and look forward to seeing everyone again in a week! 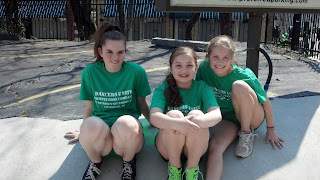 You can still at this time register for upcoming summer dance classes and camps. For more information, please see our Summer Dance Program Page.